✔️Peace ✔️Quiet ✔️Optional Wi-Fi hotspot. The #BMW X5 40e. Link in bio. Luxury on a commute is not something that everyone gets to look forward to. 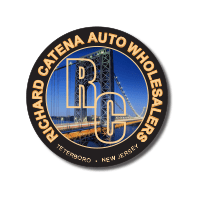 But it is an expectation for those that value opulence here at Richard Catena Auto Wholesalers, with our pre-owned BMW lineup making this type of an impact. Our pre-owned BMW models, including everything from sedans such as the BMW 3 Series and 5 Series to savvy SAVs in the BMW X1, X3 and X5, are everything that you look for in a carefully-crafted daily driver. With available all-wheel drive through the BMW xDrive models that we carry, along with modern technology and driver-assist feature options, the advanced experience you are seeking is one that you will find in this pre-owned BMW lineup here in Teleboro, NJ. We invite you to visit for a test drive of any pre-owned BMW model that you are interested in soon, as this is something that we can easily make happen upon your request. We are more than happy to discuss features, the varying model years, the capability and the overall design of these luxury vehicles at this time, as well as the financing options available.